This badge was issued to Stanislav Zayarsky on 07 Mar 2016. 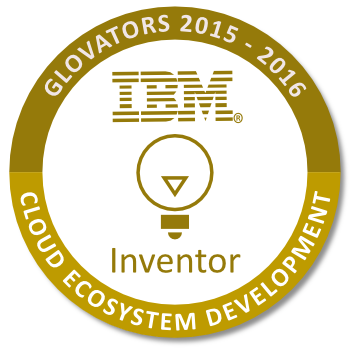 The Inventor badge holder has demonstrated the ability to design and implement a complex and sophisticated Bluemix application solving a real world problem. The individual’s application was chosen as a Finalist to participate at the Global Mobile Innovators Tournament finals in Barcelona. This badge earner was selected as a Finalist in the Global Mobile Innovators tournament.